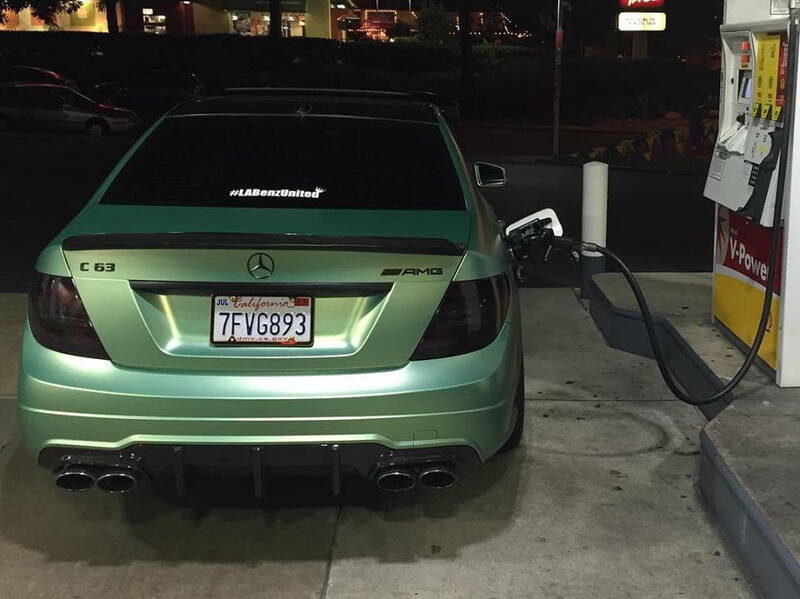 Mint Green Mercedes-Benz C63 AMG. Hmm...any thoughts on this color? You know there's a pictures thread for this kind of thing right? Since you've been told that a few times before. Just sayin. Not really a fan of the color in that satin finish. Should black the mirrors and de-tint the clear parts of the tails imo. I want to dislike it, but don't as much as I thought, I also agree with blacking out the mirrors. I prefer the night shots color over the daylight. and prolly in a picture thread. looks like a wrap...if it is, it doesn't matter what we think. there are purple chrome wrapped cars rolling the streets as we speak. +1. I would drive w/that color. Agreed though, take it to a picture thread. I've seen this car in person. 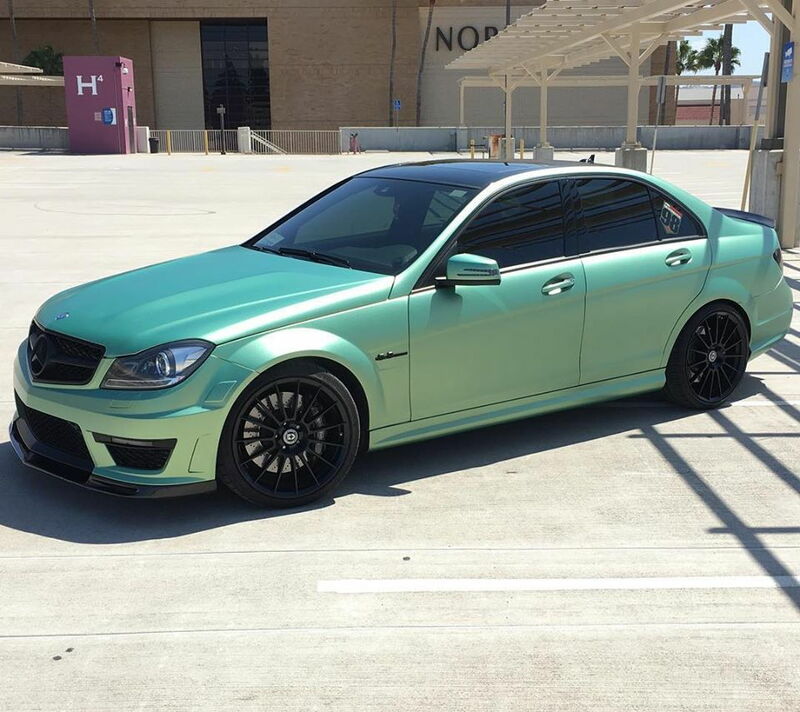 The mint color actually looks great. It has a pearl finish and also gold specs embedded in the mint green color. Gives a really nice glow/shine in the proper light. sort of looks like the last run of w204s that was made for south aferica. ^^^Whoa! Those look pretty cool! That's more of a Viper Green I believe. Has a bit more depth and color to it than the OP pic. Post the sexiest white C63 pictures here! 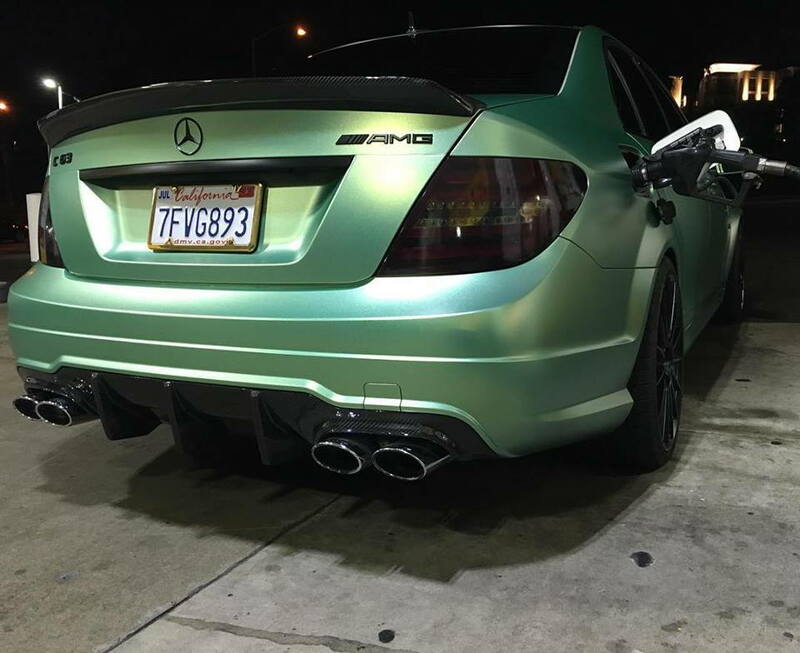 Quick Reply: Mint Green Mercedes-Benz C63 AMG.